This is going to be a colorful show. Flowers & fragrance will abound. I can’t wait to bring new items. I’m inspired to create with vibrant hues. I gathered gorgeous vintage butons from the recent Arizona State Button Show & I can’t wait to create with them. Please say hello if you attend and see me in the boutique. . The recent Junk In The Trunk Vintage Market at Westworld did not disappoint. There were so many fun shoppers & great treausres to be found. I had a photo gallery of artwork from a 1950’s student named Elizabeth Finkler. On the back of some of the drawings were signatures from teachers and occasionally their grades. These were popular at . Small picture frames are ideal for jewelry trays. You can use them on your dresser or your bathroom counter tops. I bring them to my jewelry shows like Junk In The Trunk Vintage Market so my shoppers have something to carry their small items around on. They are very simple to make and can be a fun craft for . I think it’s exciting to revamp old treasures into something new. 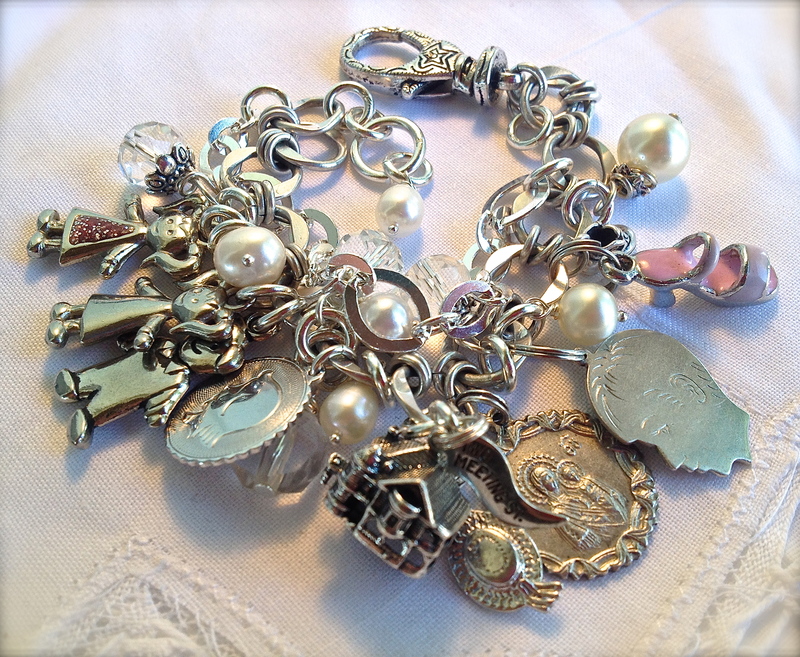 Often times clients have a collection of loose charms and broken bracelets loaded with treasures given to them or collected on travels. I like offering the service of repair and restyling.One client had me convert an uncomfortable necklace into a fun bracelet. I typically add a shiny new . 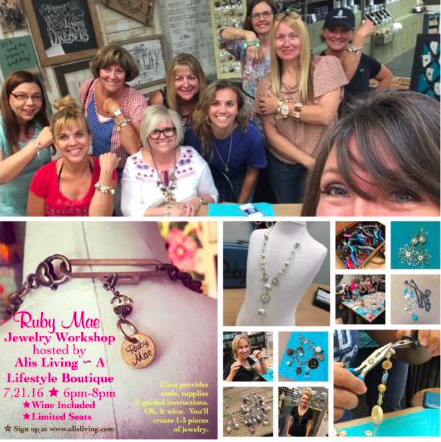 I recently taught my first Buttons 101 Class & it was hosted @JAM, a boutique in old town Scottsdale. These lovely ladies came together & we made lots of cool buttons projects and they gave some away as gifts. I loved seeing what they wrote on the gift cards. I find it interesting to see the button combinations they picked. Also, I think .